The first time I preached at Cedarville this year was just before Christmas. My sermon was “The Cadence of Providence,” from Galatians 4 with an emphasis on the Incarnation. I planned to take my next opportunity to preach in chapel to speak on the Ascension. Little did I know I would be scheduled for the first chapel service after Easter. 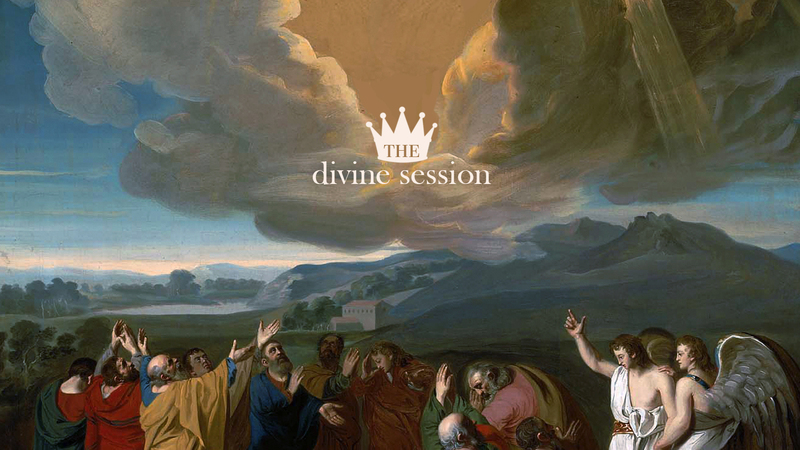 The title of my sermon was “The Divine Session,” from Hebrews 4. The term “Session” is used to describe what happened in heaven after Jesus ascended. He was seated on a throne in the presence of the Father. This is a sign of his rule and reign. It is the inauguration of his kingship. The ascension is a missing doctrine in most sermons and contemporary worship today. But historically this was not the case. Throughout most of church history it has been valued and prioritized. This is clearly evidenced in the fourth century in both the Nicene Creed and the Apostles’ Creed. These creeds emphasize the ascension as much as they do the resurrection. The ascension, like the resurrection, is a historical event, was seen by many eyewitnesses, and has massive implications for our relationship with God. The Heidelberg Catechism in the 16th century asks an important question, “How does Christs’s ascension into heaven benefit us?” The answer is three-fold: first, Jesus is our adovcate before the Father; second, Jesus is humanity standing in the presence of God (our own flesh); third, the ascension is when the Son sends the promised Spirit (Pentecost). Also in the 16th century, John Calvin taught that the ascension opened the way into God’s presence that had been closed since the fall. This theme can be seen in the design of the tabernacle and the temple with ornate organic elements picturing the garden where man and God enjoyed fellowship before the great rebellion. In the temple we see that God is remaking Eden, where humanity can again freely walk into the presence of God. But these earthly places were temporary. They were intended to point us towards something permanent, a better city, where we can again dwell with God. The ascension is the inauguration of this restored place, the permanent place, where man and God can again enjoy fellowship in the cool of the garden. We see this fulfilled in the new heavens and new earth that look a lot like Eden with rivers and a Tree of Life. Whether in the Apostles Creed, in sixteenth century catechisms or theologians, or in modern authors or Christian hip hop lyrics, we can see the beauty and power of making much of this doctrine. Perhaps no where else in the New Testament is this event more clearly unpacked than in the book of Hebrews. The book of Hebrews is something of a conundrum. For hundreds of years many saw it as “The Epistle of Paul to the Hebrews.” But as early as Tertullian we see that it was attributed to Barnabas, an associate of Paul. Martin Luther thought Apollos wrote it. In short, we don’t know who its earthly author is, though we know its heavenly author. It’s inspiration and inclusion in the New Testament is for our good. Hebrews is basically a sermon, though it has elements of a letter in the conclusion. This seems to possibly indicate a transcribed sermon that was then passed along like an epistle. It has a high rhetorical style using several words that don’t appear anywhere else in the New Testament. If the preacher had a particular Old Testament passage in mind for his ancient sermon that we call “Hebrews,” a good candidate would be Psalm 110. The message is built on the theme of Jesus as our great high priest, in the order of the King Priest Melchizedek (Psalm 110:4), who has entered the true Holy of Holies, which is in heaven. The earthly tabernacle and temple were given to Israel as a picture of the real temple in heaven. In the Ascension we see that Jesus passed through the heavens to enter the true Temple. Unlike earthly priests, Jesus did not need to offer a sacrifice for his own sins (Hebrews 7:27). Here we see all of the Old Testament imagery, the passover lamb, the scapegoat sent to die outside the city, the sacrifice whose blood would be sprinkled in the holy place, all fulfilled in Christ. The same is true for you and me. Where else can we go? Since Jesus ascended into heaven, there is one place we can now go. The author of Hebrews tell us, “Since then we have a great high priest who has passed through the heavens, Jesus, the Son of God . . . let us then with confidence draw near to the throne of grace (Hebrews 4:14-16). This is powerful when you consider no one, except the High Priest, was allowed to go into God’s presence and that was only once a year. In fact the first time this happened it was when Aaron was high priest. His sons were treating the holy place flippantly and God destroyed them with fire from the alter. God then gave specific instructions for the Day of Atonement for Aaron to enter the Holy of Holies and intercede for the people. It’s hard to think about Aaron, just having lost his sons, entering the holy place with fear and trembling and standing in the presence of God to pray for the people. God gave the children of Israel instructions for the tabernacle after he gave them his law. He gave them two tablets and a tent. The tablets so they might know his law, the tent so they might be forgiven when they fail to keep it. The book of Exodus outlines the instructions for the building the tabernacle. The book ends with the completion of the tabernacle, the man-made, Eden-like, place where God would meet with his people. In the final scene, the closing verses of Exodus, God’s presence comes down and covers the tabernacle. There was now a provision, albeit temporary, for one man to meet with God on behalf of the people. The cloud was a visible demonstration for the people of God coming down to meet with humanity. Our response: let us with confidence draw near. Eden is again open for business, but this time its better than before. Humanity has again entered the presence of God. One day we too will enter in, as the slain and risen Lamb comes with a new heaven and a new earth. That’s why we aren’t like those who shrink back (Hebrews 10:39) but like those described in the verses that follow immediately in Hebrews 11. We advance. And we’re bringing his kingdom with us: the falling reign of the rising Son.